A major exhibition dedicated to the evolution of the self-portrait in Bulgarian art is being held at the National Gallery in Sofia from August 14 to October 4. 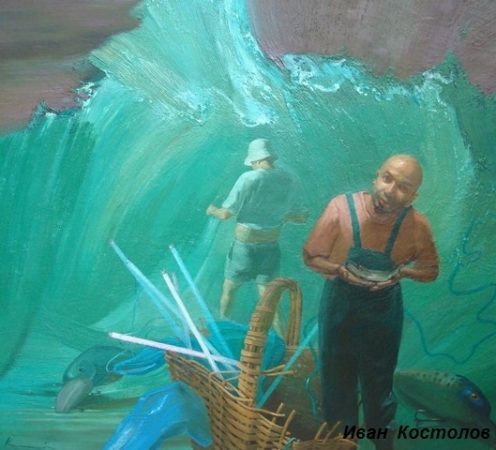 It is composed by 77 works by contemporary Bulgarian artists, owned by collector Nikolay Nedelchev. The exhibition is on show after a year of work with authors invited by the collector and his consultant Nadya Timova to each present a concept for an artistic re-creation of their own image. Nedelchev collects works by Bulgarian artists who embody most comprehensively the image of contemporary Bulgarian art, and in particular works that are able to give an insight about the self-concept and the creativity of their authors. The collection is an experimental project by Nedelchev that followed on after he bought a few self-portraits by famous Bulgarian artists. The self-portrait became a focus of his interest and collectors’ passion because of the sincerity, the psychological depth and the opportunity for an artistic re-creation of the artist. The selection includes emerging and established artists working in the field of painting, sculpture, and new media. Among them are Svetlin Roussev, Emil Popov, Vezhdi Rashidov, Sasho Stoitzov, Snezhana Simeonova, Stanislav Pamukchiev, Gredi Assa, Alla Georgieva, Dimitar Yaranov, Iva Yaranova, Ivan Kostolov, Lyuben Petrov, Deyan Yanev, Zoran Georgiev, Kalia Kalacheva, Nora Ampova and many others. The visual concept varies from classical iconography and works that depict the artist with a brush in hand, to works that can hardly be seen as a self-portrait. The work of Lyuben Petrov (b. 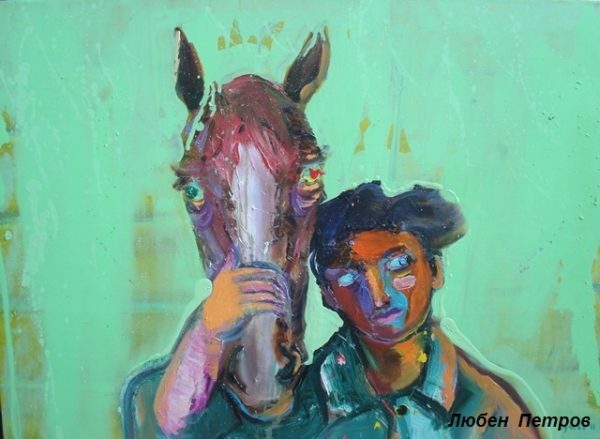 1984) “My best friend” presents a horse and a boy’s head side by side; The Self-portrait of Sasho Stoitzov (b. 1952) lacks any kind of image or narrative; Stella Vassileva (b. 1983) interprets the idea by painting a half-naked girl and her anatomical organs at the other side of the work. 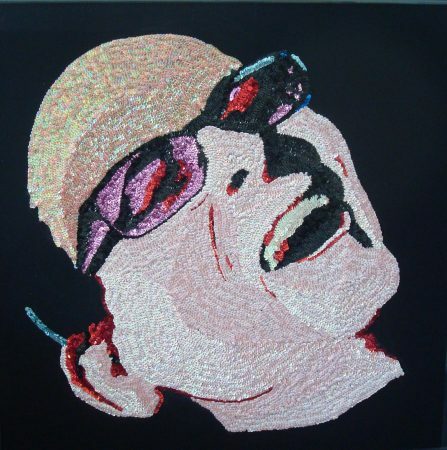 The materials and the techniques also vary considerably – from traditional techniques like oil, acrylic, bronze and white marble, to mud and straw, white sugar, sequins and collage. The sizes of the works by the younger artists are more expansive. With canvases wider than 2 metres, the artists are seeking broader horizons loaded with more expressiveness, flight of the imagination and ambitions. The exhibition is accompanied by a bilingual catalogue comprising texts by contemporary Bulgarian artists, contemplating the transience of the existence theme. 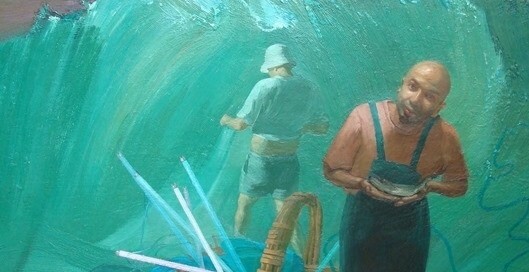 A meeting with the artists is to be held at the premises of the National Gallery during the exhibition. The National Gallery is among the most popular museums in Bulgaria. One of its branches is located at the remarkable building of the former king’s palace, located at Knyaz Alexander I Square. It was built by Viennese architects and is now a venue for temporary exhibitions. 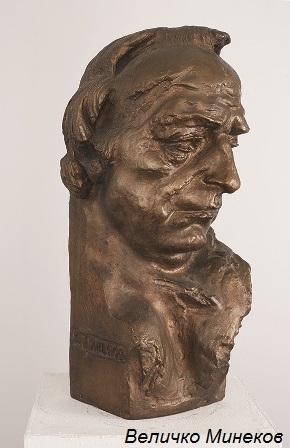 A major exhibition of work by Pablo Picasso is due to open in the same building in October 2015. The representative exposition of the museum’s rich collection of Bulgarian and foreign art is located at the newly opened Square 500 museum at Alexander Nevsky Square.